Affordable and fast taxi, car and limo service to JFK, LaGuardia and Manhattan from Forest hills & Rego Park Queens, New York. Taxi Forest Hills is the best solution for you. Whether you are looking for a ride to your doctor’s appointment or to the airport for a red-eye flight, our company provides you with dependable cab service at affordable prices. We have been offering the residents in the Forest Hills, NY area with superior quality car, limousine, and car service transportation for many years. This is why we are the leading taxi cab service business in Forest Hills, NY and the surrounding areas like Rego Park, Middle Village, Jackson heights in Queens and all Manhattan. Regardless of where you need to be, we can get you there quickly. All of our cars are washed and inspected every day to make sure that you have a clean and comfortable ride. Our ultimate goal is to make sure that our customers are 100% satisfied with the service that we give them. We would not have it any other way. If you are looking for excellent cab service for any reason, ask us! 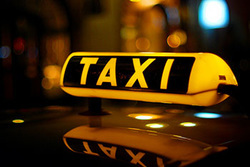 We are the leading taxi cab transportation company in the Forest Hills/Rego area. Our team is the absolute best when it comes to providing exceptional auto service for whatever reason. You will not find another transportation business that will treat you with the level of professionalism and friendliness that we do. ​Whether you are in a rush to get to the airport or going to your doctor’s office, we can get you there on time. We are the most reliable and dependable car service if you are planning to travel from Manhattan to Forest Hills. If you want to avoid having to ever wait for a cab, just call us and we will have a vehicle to you quickly. Our prices are economical, and our drivers are continuously friendly and professional. We know the importance of you being at your destination in a timely manner. This is why we take pride in being on time, each and every time you call us for our service. We always offer excellent service with customer satisfaction in mind. We provide transportation service to you that is efficient, fast, and friendly. ​Regardless if you need transportation for business or personal reasons, our courteous drivers will make your journey comfortable, so that you can relax and enjoy your cab ride and not worry about your transportation needs. If you and your friends are in the mood to have a fun, exciting day in Manhattan, let us provide limo transportation or car service. Yes, we are more than just a Forest Hills taxi cab service. For special events and occasions, or even if you want to spoil yourself, we provide limousine and car service to any destination in the Forest Hills, NY area. Whether you and your friends are heading to the JFK Airport or a nearby vineyard, let us get you there in comfort. Unlike other Forest Hills car service providers, every member of your party will have enough room to stretch your legs and be comfortable, while all of you leave the driving to one of our professional and courteous drivers. We guarantee that our highly competent and experienced drivers are the best in the business. They are skilled enough to handle any eventuality, as well as our friendly reservation agents who will be more than happy to make last changes to your professional transportation if need be. They work together to make sure that your car or limo transportation needs are completely met. Unlike other transportation companies in Forest Hills, NY, we are willing to go that extra mile to make sure that our customers have a wonderful experience when they use our business for ground transportation. When you pick our company for car service or limo transportation, you and your group will not only travel in a comfortable vehicle, but you and your group can genuinely enjoy yourselves while leaving the driving to someone else. Whether you want to take your visiting family members on a city tour, or you need airport transportation, we will have you traveling in the lap of luxury. Our transportation services feature a fleet of clean and well-maintained vehicles that are ready to provide transportation at any given moment. We offer a very flexible schedule, and we will meet all of your transportation needs. We pride myself on delivering complete customer satisfaction. When you choose to use our services, you will find out for yourself why we are the top limo and cab business. Our chauffeurs are licensed, insured, and possess many years of experience when it comes to driving limousines and cabs. With us, we promise that our chauffeurs will show up on time to take you to your destination. Our goal is for you to have a memorable experience with our service that you will never forget. When you looking for the “top taxi and limo company near me,” we are the only answer! If you and your friends love to have some fun at the any places between Forest Hills and Manhattan, why not enjoy them while leaving the transportation to us? For your next trip, come to us and let us handle the driving. The best part is that our rates are affordable, so you don’t have to break the bank to enjoy our topnotch cab transportation service. Whatever you need from us to make us your first call for cab transportation, we will do it. We want to see that you are happy with our cab service and refer us to your friends and family. If you are in need of car transportation at reasonable prices, try us. *legal disclaimer: this is a referral website. All work is completed by a fully licensed & insured Car service provider.